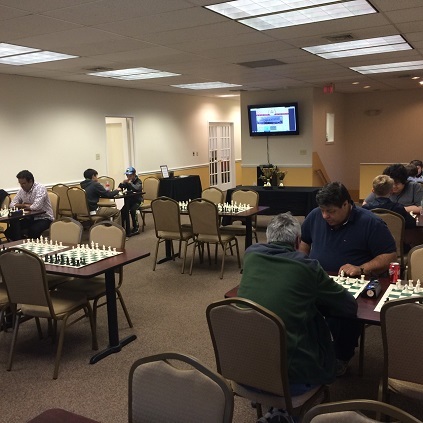 Saturday night CCFC hosted a blitz tournament open to the public. The event was incredibly strong with half the players being experts or masters. There were many exciting pairings and several upsets in a wild two hours of blitz. By the end, National Master Yoon-Young Kim was the deserving blitz champion with a final score of 8/10! NM Hans Niemann came in clear second with 7.5/10 and NM Ian Harris and Dennis Li also scored well, tying for third with 7/10 each. Thank you to everyone who participated!